Of the $15.5 billion dollar alcohol market in Australia, nearly 75 per cent is purchased in supermarkets. 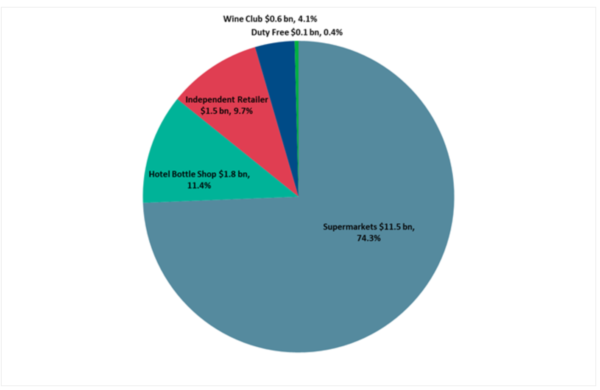 Woolworths Group holds 50.1 per cent of the total amount spent on packaged alcoholic beverages in an average week. These are the latest figures from the Roy Morgan Alcohol Retail Currency Report. The report is based on in-depth personal interviews with 3,650 Australians who have recently bought packaged alcohol.